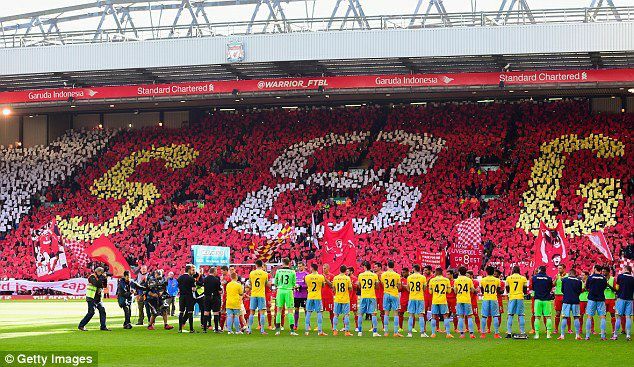 Saturday the 16th of May 2015 saw the ‘Captain Fantastic’ Steven Gerrard bid an emotional farewell to Anfield stadium in a match against Crystal Palace. 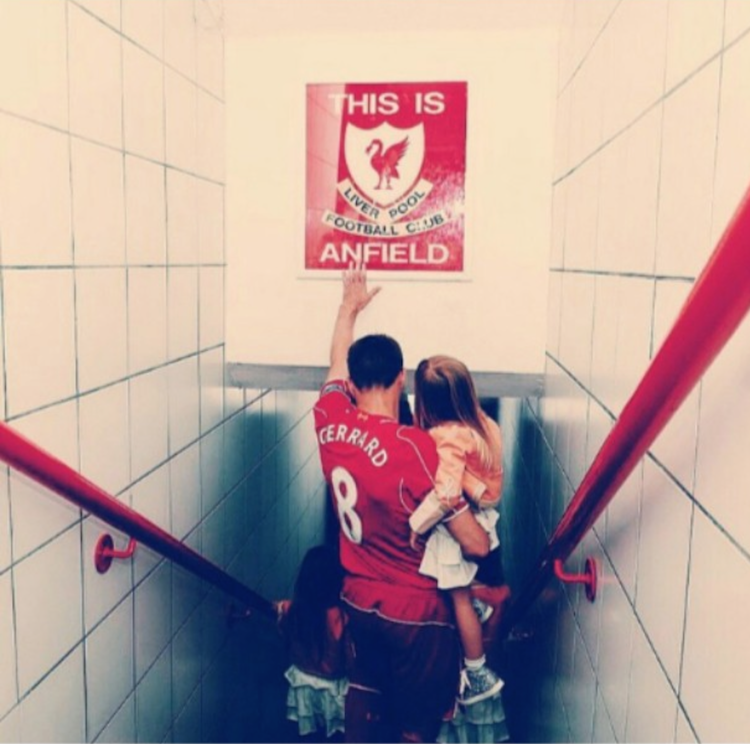 The much loved captain who has been a Liverpool first team player for 17 years and with the club for 27 years is sadly moving to America to play for LA Galaxy. The match may have ended in defeat but this didn’t seem to matter to the 45,000 fans that packed into Liverpool’s home ground sporting banners of respect for the footballing legend. Steven Gerrard was met with an extraordinary outpouring of emotion from fans as he did a lap of honour with his 3 daughters and he also received a guard of honour from both the Liverpool and Crystal Palace teams. Last week week we told you about an exciting campaign we were working on for the Liverpool Echo! 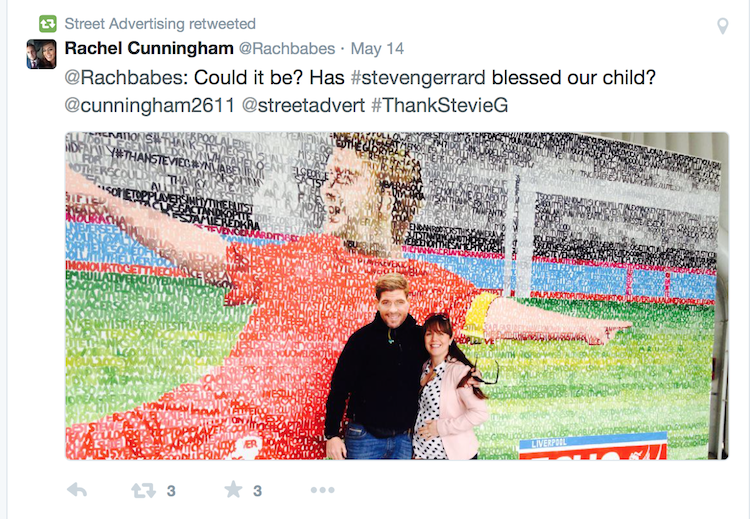 Our artists were busy filling in a high 8x4 meter message wall with messages for Stevie G from his dedicated fans. The message wall started off as a blank canvas but as the week progressed and the tweets started rolling in an image of a legend started to form. 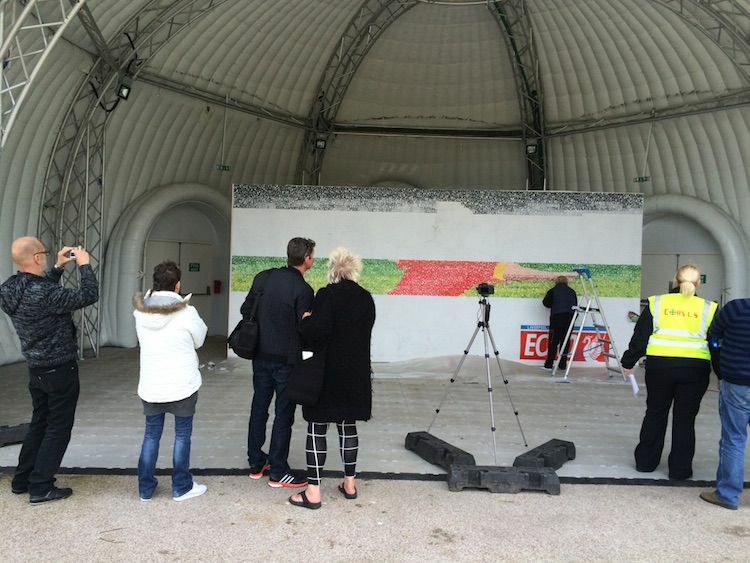 By Saturday fans and passersby alike were able to admire the finished piece of art in it’s full glory. 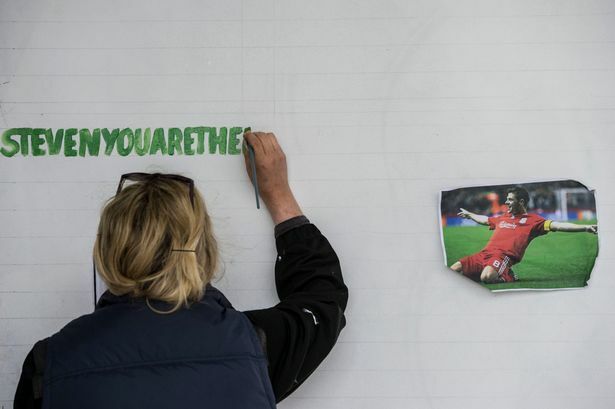 Fans who had contributed showed up to search for their own message of thanks on the canvas and the Telegraph and Sky Sports both covered the campaign. The finished product is an absolute masterpiece and is going to be displayed in the VIP section in Anfield for Stevie G and all the other players to admire. 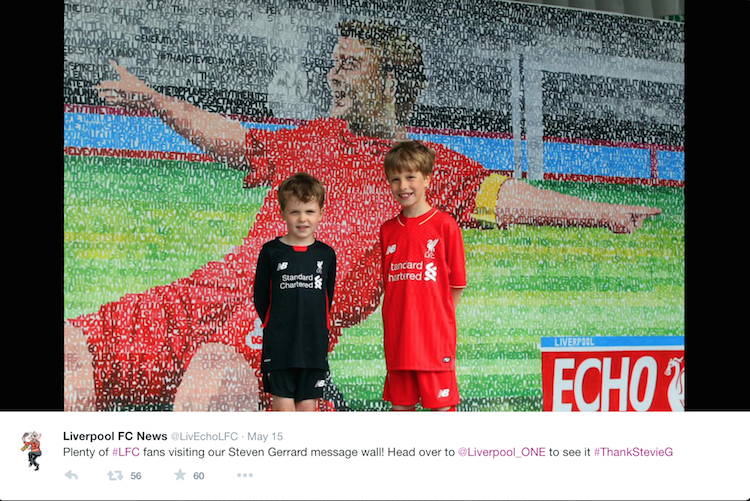 Fans gathered at Liverpool One to try and spot their message and to have photos taken with the Gerrard Wall….photos which were shared on social media platforms adding to the buzz around the campaign. The message wall technique is a fantastic way to involve your customers in telling your story. It is unique, has meaning and invites intrigue as the art develops over the week. Is that Stevie G or a dad to be in a mask? You decide! 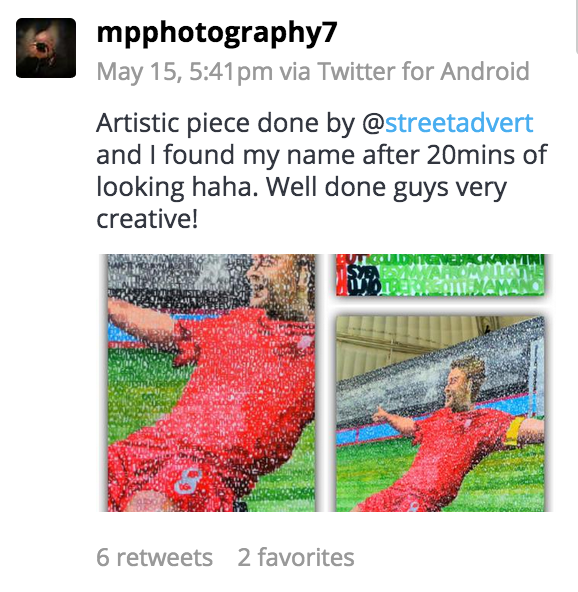 We thoroughly enjoyed creating this tribute to the legend that is Steven Gerrard and would love to talk to you about how we can tailor a message wall campaign to your brand. A great way to get people of all ages involved, the message wall is an unusual way of blending social technology with good old fashioned art! Check out a previous campaign we did for My Journey in Southampton here! Get in touch today for more information about our catalogue of experiential advertising, marketing and PR techniques! Want something unusual for your brand? Street Advertising Services is the agency for you!